"That's not a propaganda statement or an idée fixe of mine. This is the reality." 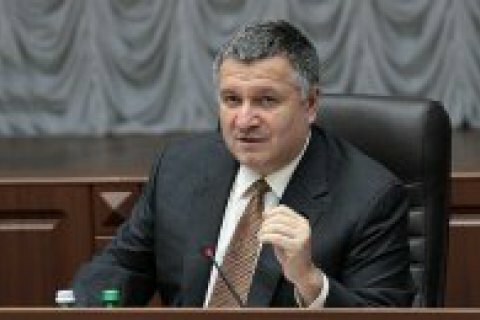 Interior Minister Arsen Avakov said that Ukraine can regain control of the national border in Donbas already in 2017. "We need to be prepared for the procedures and arrangements for the de-occupation of Donbas. I am confident that we will need to tackle the task already in 2017 and regain control over our internationally recognized borders," the minister said as he spoke before the board of the State Border Service of Ukraine on Tuesday, 17 January. "The police, national guards, judicial and local authorities will all be involved, but the first to handle the task of the de-occupation of Donbas will be the border guards," the minister stressed. He said once the political decision is taken, the border guards will have maximum two weeks to regain control over the border. "That's not a propaganda statement or an idée fixe of mine. This is the reality that we will soon have to face, and the state should rely on your willingness to take decisive action and ensure this process," Avakov said. Earlier, Deputy Minister for the Occupied Territories Heorhiy Tuka said that the liberation of Donbass by non-combat methods can start in the autumn of 2017.